Titan venture Group Ltd is the Go-to for the Hospitality market, we source and supply bespoke products to our target customers. Our products are a reflection of our passion for all things functional and innovative. Titan Venture also specializes in Scent marketing and offers scenting solutions in Tanzania and Kenya for the commercial and hospitality industry. We are also currently establishing and supporting distributors throughout Africa. 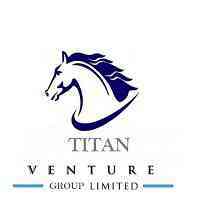 Titan venture group limited in Tanzania is looking for potential persons for the position of Sales Executive (5 posts). The Sales Executive is responsible for building business by identifying and selling prospects; maintaining relationships with clients. Answer all lead and customer questions accurately; prioritize and/or escalate lead and customer questions as needed. Promote specific products as directed by upper management. 1. A Bachelor degree in Marketing or its equivalent. 2. Exceptional communication and presentation skills, Product Knowledge, Creativity, Basic Computer Literacy, Microsoft Office, Target Market Analysis, Persistent, Flexible.